In collaboration with the FPS Economy, DNS Belgium will be able to take fraudulent .be websites offline more quickly. What does this measure actually do? Users are now clearly getting used to shop on web stores. According to BeCommerce, Belgians spent 7.89 billion euros in online purchases in the first three quarters of 2018, which is an increase of 7% compared to the same period in 2017. Yet dark clouds are on the horizon, because the growing success of e-commerce is also attracting criminals, who are trying to swindle users. A common method is to mislead users through the use of domain names. These are usually ‘phishing sites’: cybercriminals create domain names that trick innocent users. Familiar names of web stores (e.g. collishop.be) or banking institutions (e.g. argenta.be) are used in new domain names (collishop-deals.be or argenta-bank.be, for instance). And those websites are owned by cybercriminals. Their aim is to steal credit card details from users in order to take money from their accounts. And then, of course, there is also the ‘ordinary’ fraud committed by web stores from which you can actually order your goods, but after you have made your payment, you never receive anything. This kind of fraud is often discovered only after several users have complained, and unfortunately it takes a while before these web stores are shut down by the authorities. In collaboration with the FPS Economy, DNS Belgium, the administrator of the .be domain names, has developed a protocol to take fraudulent .be websites offline more quickly. This is quite a step forward, because until now, DNS Belgium could only act if the identification details of a .be domain name holder were incorrect. In the case of fraudulent content, however, it was impossible to respond immediately. A complaint had to be filed with the public prosecutor's office first, and in the period between the identification of fraud and the website shutdown, many other people could be victims of it. Since 1 December 2018, however, DNS Belgium has been able to take immediate action in the event of serious crimes and remove malicious websites within 24 hours. The word ‘serious’ means cases where the infringement is clear and there is a high risk of harm to consumers or businesses. The registrant then has 2 weeks to appeal against the decision. And if he can be identified, the public prosecutor's office is involved. Fraudulent websites and web stores are taken offline within 24 hours: this will make the .be zone even safer! This is a fine initiative that will boost consumer confidence in online stores, especially those with a .be domain name. But you can also help build that trust by securing your website so that criminals cannot gain access to it. Secure the communication with your customer using an HTTPS connection and the corresponding SSL certificate. This will be useful not only when users will be logging in or paying, but also throughout their shopping experience. 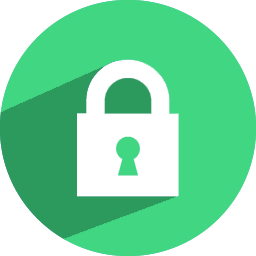 Read more about SSL certificates: the free Let's Encrypt certificate that Combell offers you for free with your hosting package, or the premium certificate that comes with extensive guarantees. Enable DNSSEC for your web store. By doing so, no hacker will be able to edit the DNS records of your domain. This is also required if you want to obtain a quality label for your web store from BeCommerce or SafeShops. Always install (security) updates for your CMS as quickly as possible. Combell helps you achieve this by providing automatic patching. 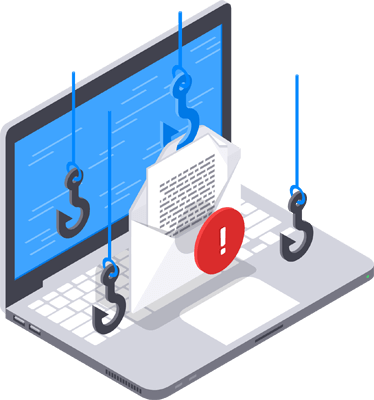 Also be careful with phishing e-mails: learn how to recognise phishing e-mails, and also how to minimise the damage if you have ended up trapped in a phishing e-mail. And do not forget that Combell Shield offers you the most comprehensive protection for your hosting! How can you keep hackers away? Making the Internet a safe place where users can shop in complete confidence is everyone’s business!